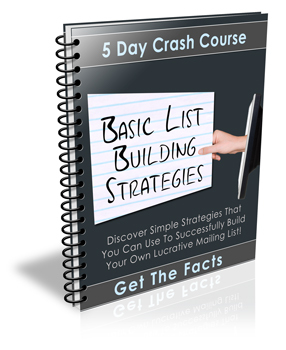 Exactly what building a mailing list can do for their business along with two basic, yet extremely effective strategies that they can start using right away. Some simple methods that they can use effectively build their mailing list with article marketing. Exactly how you can use social networking sites to build a responsive mailing list faster than you ever thought possible. Different ways that they can quickly build their mailing list and convert their new found subscribers into long time customers just by joining giveaway events. Simple strategies that will help they maximize their profits while building their list by using simple follow up emails and one time offers.